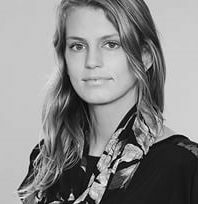 Jenna is passionate about design and has been working in the field of landscape architecture since 2011, focusing on high end residential design, urban infill, and public projects. She notes that she was particularly drawn to Melton Design Group, Inc. because the company’s core values of conservation, community, and innovation align with her own personal values. “Landscape Architecture drew me in as a career because I wanted to connect people to the environment in their everyday lives. I like that designing gives us the opportunity to show people something new in a place.” Jenna graduated from California Polytechnic State University (CPSU) San Luis Obispo with a Bachelor of Landscape Architecture. With her experience in landscape design and construction drawings, she is a strong asset to our Team.